Please click on your state in the map below to find out how much you can expect to earn annually as a working paramedic. 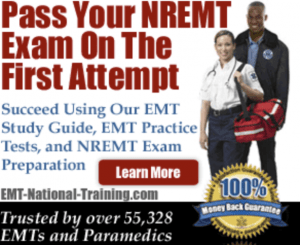 In order to bring you estimated numbers regarding paramedic salary, we cull median wage income numbers from the U.S. Bureau of Labor Statistics, as well as Salary.com. Along with paramedic pay, you’ll also discover how much EMT’s and flight paramedics make as well. While paramedic salaries vary greatly based on region and overtime hours worked, the articles linked below will give you an idea of not only how much you can expect to earn in a given state each year, but how some of the more highly populated cities in these states stack up against one another when it comes to paying their first responders.